Posted March 24, 2019, by Hao Zhu in What's New?. 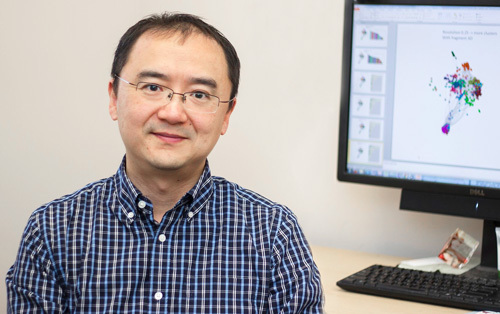 Dr. Zhu gave an invited lecture titled “Digital Nano: Rational Design of Biocompatible Nanomaterials by Digitalizing Nanostructures” at Department of Chemistry and Chemical Biology of Rutgers-New Brunswick on March 5th. Please see the details of this event here. Page last updated at 12:10 pm March 24, 2019 . This page was printed from zhu.camden.rutgers.edu/2019/03/24/dr-zhu-gave-a-talk-about-rational-material-design-at-rutgers-new-brunswick/ on Tuesday, April 23, 2019.